There are many kinds of safety interventions that can reduce the causes of accidents – speed bumps and speed guns to reduce speeding, traffic regulations to reduce reckless behavior, sidewalks and bike lanes to protect vulnerable road users. However, how can policy makers know which solutions to implement without knowing what kind of accidents are happening where? For example, does it make sense to put in sidewalks on a road where few people walk or to put in speed bumps where traffic usually keeps vehicles from moving very fast? Or perhaps many people are being hit crossing a road even when there is a pedestrian bridge nearby; could this indicate the need for a different solution? The road safety solutions are only as useful as the accident data that directs them. Currently, traffic accident data comes from the police, hospitals, insurance companies, and the media, but none of these sources have ALL of the accidents. Sometimes people will not call the police to an accident, or will chose not to involve insurance companies; then, these accidents are not reported. Plus, most of these records do not emphasize the location of the accident, being more concerned with the people, the vehicle information, etc. So, accident location data is like the missing piece of the puzzle. Beginning May 1, 2015, Ma3Route will run a 6 month pilot where we try to collect traffic accident reports from users to create a map of accidents in Nairobi. Ma3Route users send in hundreds of reports every day that are full of useful information (time, location, description, photo) – so what if this attention were focused on reporting accidents? That’s what we want to test. So, when you see an accident on the road, REPORT IT. Take a picture, describe where it is (or better, activate your GPS so your phone will record the location), and tell us who is involved (pedestrian, bus, matatu, lorry, car, motorcycle, etc.). Don’t forget to use #accident or choose “accident” in the drop-down menu of the Ma3Route app. As a reward, every week we will give away 100 KES to FIVE people that reported an accident that week. The winners will be drawn at random – so report regularly! We will also post regular data analysis and updates so you can see how your contributions are helping. At the end of the six months we will put together a comprehensive report describing the data we collected and visualizing any useful trends or findings that can help policy makers make the roads safer. 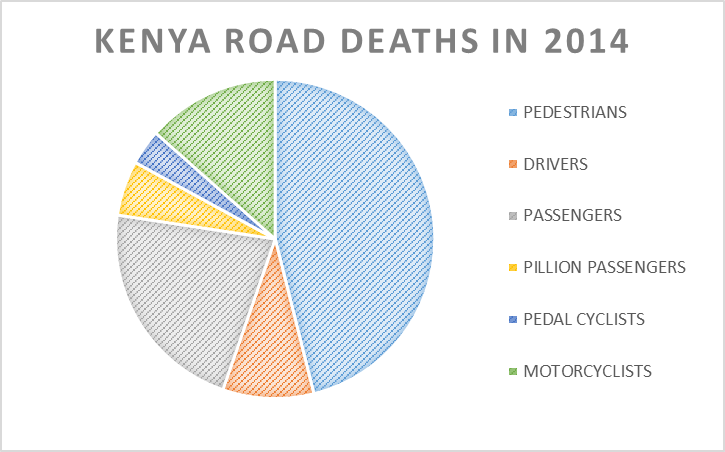 The more reports, the more information, the better a chance we have to improve Nairobi’s road safety. Next > Week 1: 136 Unique Accidents Reported! This is a good initiative. Can we now get feedback on how it all went? What was the outcome of the pilot?